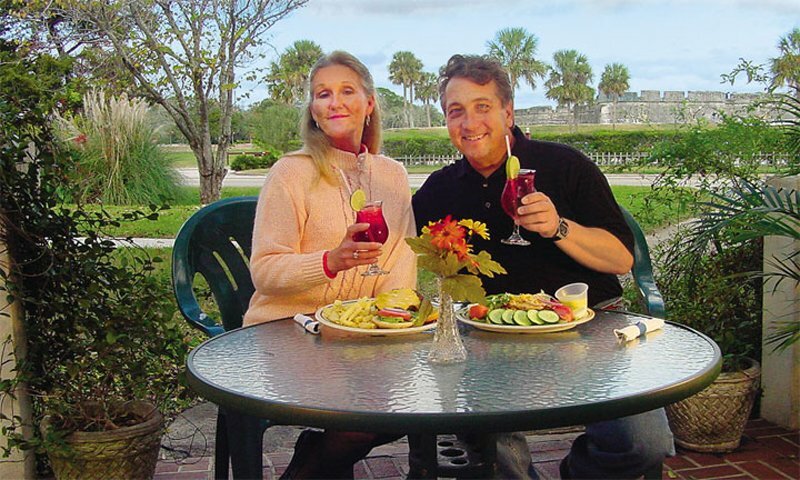 White Lion located in historic downtown of St Augustine offers good food and a fun atmosphere! This restaurant's excellent location provides views of the beautiful bay and the Castillo de San Marcos. With live music on weekends and a great atmosphere this restaurant and pub attracts many locals and tourists. Here they offer a great casual dining atmosphere with indoor dining and an outdoor patio. 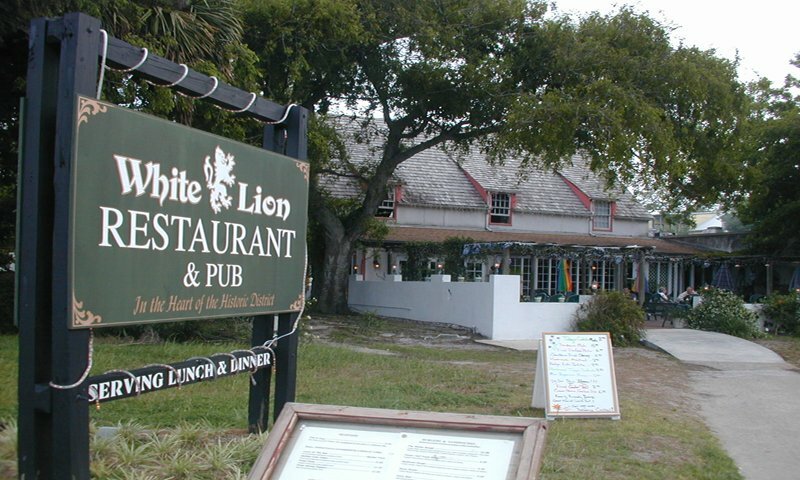 White Lion serves tasty food such as chicken wings, hamburgers, sandwiches, fried seafood, French fries and more. Come by and have a great lunch or dinner at the White Lion and then at night enjoy the fun atmosphere, drink specials, and great live music! The nightlife at White Lion is fun and entertaining nearly every night of the week! We sat at the bar and the bartender was knowledgeable and friendly. This was our first visit, so we want to go back another time to give them a chance to shine. We waited a long time to be served and I didn't think the food was that good for the price. Couldn't even drink the lemonade it was so syrupy sweet. Green beans were indelible they were from a can with a strange taste. Fries were frozen. Wasn't too impressed. My boss, a co-worker and I had lunch here this week. The food and the prices were OK but I wouldn't call them exciting. Our waitress was polite, but didn't go out of her way to check on us very often. On the plus side the location is very nice, the dining room is clean and pleasantly decorated and there is a great view of the Castillo. It's a decent enough place to refuel during a busy day downtown, just not a great one.